Did you know heatstroke has already killed 10 children this year because they were left in vehicles?! With heatstroke, body temperature rises to dangerously high levels because the body gets so hot, it can’t cool itself. Although dehydration contributes to heatstroke, “it’s mainly related to a hot environment,” says Joel Steinberg, M.D., professor emeritus of pediatrics at UT Southwestern Medical Center of Dallas. Babies also overheat faster than adults because they’re less able to regulate their body temperature. Children can also die of hypothermia (when their body temp drops below 95 degrees F) if forgotten in their car seat in the colder months. Finally…a car seat that chimes in! To prevent car-seat-related heatstroke or hypothermia, it go es without saying: Never leave your kids alone in the car, even for a few minutes just to run an errand. –Your car is turned off and your baby’s car seat chest clip is still buckled. 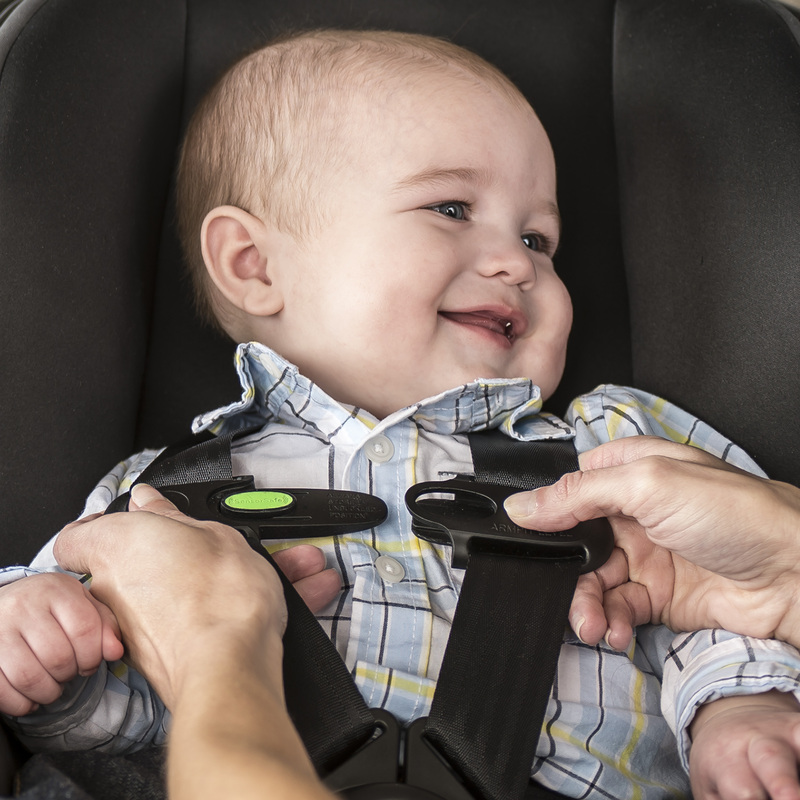 –Your baby manages to unbuckle the chest clip when you’re driving. In either case, a series of tones will play to remind you that hey–your baby is still on board or has unclipped. Ingenious! 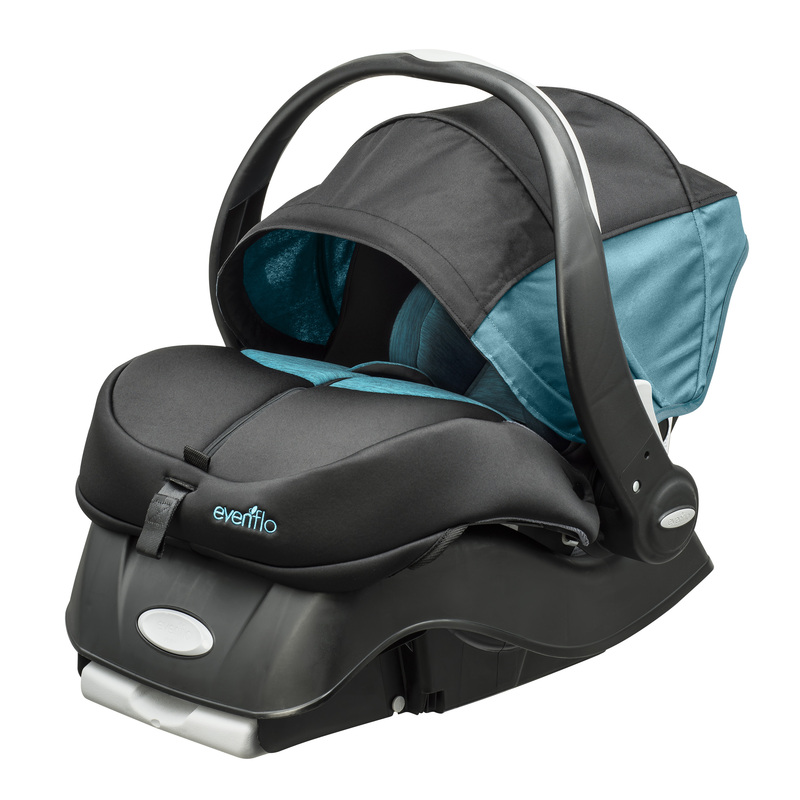 How it works: The Evenflo Advanced SensorSafe Embrace infant seat uses a wireless receiver that plugs into your car’s On Board Diagnostic (OBD) port and syncs with the seat’s chest clip, which has a transmitter. (It’s less complicated than it sounds.) The chest clip transmitter communicates with the wireless receiver in the OBD port through a low power signal. The chest clip contains a battery that’s designed to last for the life of your car seat. But if it runs low, you’ll get a low battery alert, which sounds different than the other reminder tones you’ll hear. The power signal between the chest clip and the receiver is brief–less than one second in two hours of driving time, according to Evenflo. The SensorSafe receiver works with 2008 or newer gas/diesel equipped vehicles purchased in the U.S. or Canada. If you’d like to use the SensorSafe chest chip with a Stop/Start vehicle or a Hybrid, contact Evenflo at 1-800-233-5921. –Compatible with the Snap N Go stroller frame, which is a quick way to turn your baby’s car seat into a stroller. Using a Snap & Go as your baby’s first stroller buys you time to shop for the stroller your baby can use once he/she can sit up (at around 6 months). Or, if you prefer to buy everything at once, the SensorSafe Embrace is sold as a travel system, the Advanced SensorSafe Epic Travel System, only at Walmart.com ($239.99). –Super light. Without the base, it weighs just 7.5 lbs–the lightest weight seat yet, even lighter than the Nuna Pipa (7.7 lbs)! –Not a power drain. The wireless receiver in the OBM port uses a tiny amount of power. Don’t worry–it won’t drain your car battery. –Reasonably priced. It retails for $149.88. If the Evenflo Advanced SensorSafe Embrace infant car seat or the travel system is out of stock at walmart.com, don’t worry. The inventory replenishes quickly. Is this the right car seat for you? –You’ll be switching off daycare/babysitter duty. Some days you’ll be dropping off, others your spouse/partner/boyfriend/girlfriend will. –You’r e a commuter and a major multitasker. –You’re juggling a constantly-changing schedule. –You’re sleep deprived (okay, that’s everybody). Frankly, I think the SensorSafe concept is such a good idea that I predict more car seats will be offering this feature soon–if that’s possible (and I hope it is)!